Performance Collision is Niagara’s most fully brand-certified collision centre. 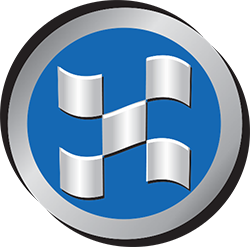 We are proudly certified to repair Audi, BMW, MINI, Chrysler, Dodge, Jeep, RAM, FIAT, Kia, Lexus, Toyota, Mercedes-Benz, smart, and Volkswagen. Additionally, we are certified for aluminum repair for Ford trucks. Such brand certification means we have earned the trust of the manufacturers to repair their vehicles to the highest standard of quality should an unfortunate accident occur. As vehicle specifications differ from one brand to another, only the highest level of service can come from Performance Collision with our distinctive manufacturer certification. All collision repairs are backed by a Lifetime Guarantee for workmanship and materials. Our three areas of specialization are collision repair, carbon fiber repair, and glass repair. Restyle Your Ride with Performance Collision & Restyling! Our services include customizing your vehicle to make it uniquely your own, such as vinyl striping, coloured headlight lens tint, bed liners, paint protection film for your hood, and a variety of tints for your windows. Our certified paint and auto body technicians are masters at the fine art of erasing dents, scratches, and scrapes. Performance Collision is experienced in carbon fiber repair. Trust the people who know the manufacturer’s requirements best. Chipped, nicked, cracked, or shattered – bring your damaged windshield to Performance Collision.